CAMPTON, Ky. (WKYT) - A man is recovering after being lost in the Red River Gorge for two days. The captain of the Estill County Rescue Squad says the man and a friend went hiking near the Patsy area on Sunday. He says the man's friend came out of the woods, but he didn't. However, that man did call his friend and told him he was okay, that he was going to build a fire and wait for daylight before making his way out. However, daylight came and the friend never showed up. Kentucky State Police used his cellphone to track his last known location. Rescue teams from Estill, Powell, and Lee counties went into the woods and found him around 1:30 Tuesday morning. The captain says the man was taken to the hospital. He was dehydrated, but is expected to make a recovery. This incident wasn't the only rescue made Tuesday night. 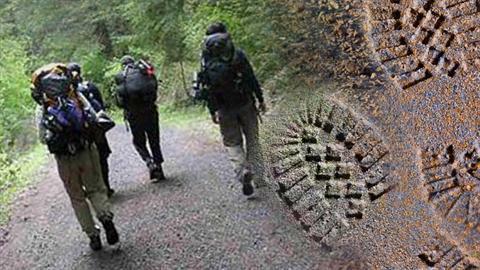 A group of hikers is safe, after getting lost. Wolfe County Search and Rescue says two men and two women called for help around 9:30 Tuesday night. They became disoriented while on the Wildcat Trail. Dispatchers say the group was safely found around 1 a.m. Wednesday morning. No one was hurt. After a brutal winter storm last week the Forest Service has re-opened Sky Bridge Road and Tunnel Bridge Road. Rock Bridge will remain closed till for a short period in order to clear the roads from downed trees. FRANKFORT, Ky. - The Kentucky Tourism Development Finance Authority has approved a loan to Red River Gorge Zipline to construct a zipline canopy tour in Red River Gorge. Red River Gorge Zipline is planning to offer six lines ranging from a few hundred to over 1,500 feet in length. Participants wear a harness that is attached to the zipline and travel at tree-line level. The authority last month approved a $250,000 loan for the new business, which plans to open in 2011 and operate eight months out of the year. "The Kentucky Zipline Adventure in the Red River Gorge is just one more way for Kentuckians and tourists alike to appreciate the beauty of Kentucky," said Kentucky First Lady Jane Beshear. "I am excited to see unique economic development opportunities arise through our commitment to adventure tourism and the new zipline is a prime example of the endless possibilities that can jumpstart our rural economies." The Daniel Boone National Forest and Red River Gorge are the perfect setting for a world class zipline canopy tour. This loan will allow us to create 15 to 18 job opportunities and help bring more visitors to Lee/Wolfe Counties. The help and support of the Kentucky Tourism Development Finance Authority and the entire tourism community has been amazing. According to Elaine Wilson, executive director of Adventure Tourism with the Tourism, Arts and Heritage Cabinet, ziplining "will be an exciting way for adventure enthusiasts to discover and rediscover the Gorge area while adding a new dimension of exploration into the natural beauty of Eastern Kentucky and the Daniel Boone National Forest." WINCHESTER, Ky., July 1, 2010 – Forest Supervisor Frank Beum of the Daniel Boone National Forest announced that the Red River Gorge Geological Area will reopen on Friday, July 2 beginning at 8 a.m. The gorge was temporary closed last Sunday after a hiker was attacked by a black bear along the Pinch-Em Tight Trail. The emergency closure was issued in the interest of public safety. Officials with the Kentucky Department of Fish and Wildlife Resources are continuing their search for the bear that attacked the hiker. The bear believed to be involved in the attack was last seen Thursday, June 30, south of Beattyville in Lee County. The sighting occurred some 17 miles from the attack site, indicating the bear is no longer in the Gorge area. “As a result of incoming information and sighting reports, traps and bait have been removed from the Daniel Boone National Forest,” said Steven Dobey, Kentucky Fish and Wildlife’s bear biologist. On Wednesday, the Daniel Boone National Forest issued an order for the Red River Gorge that prohibits open food storage or leaving food accessible to bears. This order is applicable to all national forest lands north of Natural Bridge State Resort Park to U.S. Highway 460 in Powell, Menifee and Wolfe counties. In Kentucky, it is against the law to intentionally or unintentionally feed a bear. “Public safety continues to be our highest priority,” said Beum. “We want our visitors to be aware that black bears have returned to Kentucky, and we want them to know what to do in case they happen upon a bear. “Forest visitors can help prevent bears from becoming a nuisance by not feeding them or allowing them access to food or garbage,” said Beum. Red River Gorge campers must store food, including pet food, in a bear-resistant container, inside their vehicle, or in an enclosed hard-body trailer. Backcountry campers must suspend food and garbage at least 10 feet off the ground and four feet away from any tree or pole. All food leftovers and trash must be properly disposed of in a bear-resistant trash receptacle provided by the U.S. Forest Service. Burning or burying food trash is prohibited. Any odorous items that may attract a bear, such as soap and toothpaste, must also be stored. “We will have an increased presence in the gorge this weekend to provide additional information to the public regarding safe camping practices,” said District Ranger Dave Manner. Commissioner of State Parks Gerry van der Meer commented that the park is seeing little to no impact in travelers changing their plans. Guests having reservations at the Natural Bridge lodge and campground were contacted during the week and informed of the bear attack, in the event they wished to make other plans. The lodge and campground are expected to be full for the upcoming Forth of July weekend. Additional ranger coverage and communication with guests will transpire over the weekend, including necessary precautions with regard to food storage and how to avoid a bear encounter. The public should report nuisance bears and any bear exhibiting aggressive behavior by calling 1-800-252-5378 (1-800-25-ALERT). WINCHESTER, Ky., June 28, 2010 – On Sunday, June 27, the Daniel Boone National Forest issued a temporary emergency closure of the Red River Gorge Geological Area. The closure resulted after a hiker was attacked by a black bear. The closed area includes all national forest system lands north of Natural Bridge State Resort Park to US 460 in Menifee, Powell and Wolfe counties. The area will remain closed until further notice. “Public safety is our highest priority,” said Forest Supervisor Frank Beum. “We are coordinating this temporary closure with the Kentucky Department of Fish and Wildlife Resources. The officials with that agency will help us determine when the gorge can be reopened to the public. “Anyone who sees a black bear in the Red River Gorge vicinity is encouraged to call 1-800-25-ALERT to report the sighting,” said Beum. For more information about the closure, contact the Cumberland Ranger District at 606-784-6428 or the Gladie Center at 606-663-8100. Never approach a black bear. If you happen upon a bear, don’t run. Back away slowly in the opposite direction. Never hike alone; always hike with a group. When camping, store food inside a bear-proof container or inside your vehicle. Never store food inside your tent. Kentucky Fish and Wildlife said Wednesday they may be moving in on that black bear that attacked a hiker on Sunday in the Red River Gorge. Officials say someone thinks they spotted that same bear going through trash can in Lee County. Fish and Wildlife Officials say they have not yet confirmed that it is the same bear, but they are looking in that area. Barbara Atwood, spokeswoman for the Tourism Arts and Heritage Cabinet, said several Fish and Wildlife officers were walking the gorge in Kentucky Wednesday afternoon in pursuit of the animal. Atwood says the search area has been expanded several times since the attack on Sunday and that traps baited with doughnuts and honey buns also are being used. Tim Scott of Springfield said the bear attacked, bit and shook him while he was hiking through the area. He was treated at a Lexington hospital and released Monday. The attack promoted officials to close a large portion of the Red River Gorge until the bear is caught. Atwood said Kentucky has an estimated 100 to 150 bears, most of them in the southeastern part of the state. After speaking with the Gladie Visitor Center in the Gorge we were told the Gorge is still shut down. Rock Bridge, Chimney Top, Tunnel Ridge Road and 715 are still closed as the search continues. A decision will be made tommorow or Friday morning in respect to if the Gorge will remain closed for 4th of July weekend. There are still many trails outside of the Gorge open for hiking. The Upper Indian Creek area is open for hiking and camping as one alternative. Muir Valley has some nice trails and lots of climbing also. RED RIVER GORGE — Crews resumed the search Tuesday for a black bear that attacked a Springfield man Sunday afternoon on a trail in the Red River Gorge. Fifteen to 20 officers are patrolling the area, said Steven Dobey, a black bear program manager for the Kentucky Department of Fish and Wildlife. The fish and wildlife department, the U.S. Forestry Department and local police are working together to find the bear. Because of the attack, the Red River Gorge area in Daniel Boone National Forest was closed Monday and is to remained closed until further notice. Tim Scott, 56, of Springfield, Ky, took this photo with his iPhone moments before this black bear attacked him on Pinch-Em-Tight trail Sunday in Red River Gorge. Tim Scott, 56, of Springfield, Ky, who was attacked and bitten by a black bear in the Red River Gorge on Sunday. Scott was hiking with his wife and son on Pinch-Em-Tight Trail on when a black bear approached and attacked unprovoked, according to the U.S. Forest Service. ﻿The Red River Gorge area in Daniel Boone National Forest is closed until further notice because of Sunday's bear attack. Tim Scott, the hiker who was bitten, said he thinks the bear should be euthanized if it is caught. Bear traps were spread around the Red River Gorge area Monday, which is closed until further notice. Tim Scott, 56, of Springfield took this photo with his iPhone moments before the black bear attacked him on Pinch-Em Tight Trail Sunday in Red River Gorge. Anyone who sees a black bear in the Red River Gorge area is urged to call 1-800-252-5378. ■ Never approach a black bear. ■ If you happen upon a bear, don't run. Back away slowly in the opposite direction. ■ Never hike alone; always hike with a group. ■ When camping, store food inside a bear-proof container or inside your vehicle. Never store food inside your tent. Dobey said trapping for the bear will continue Wednesday and Thursday. The U.S. Forest Service will make a decision in the next day or two concerning whether to reopen the area if the bear has not been caught, but the hope is that the bear will have been trapped by then. Representatives from the agencies involved met Tuesday afternoon to discuss the situation. Foothold snares and culvert bear traps — large cylindrical traps with a bait of doughnuts and honey buns on one end — were set, Dobey said. The 15 or so traps are specific to bears and should not harm other animals, he said. Once a bear is trapped, it will be checked for identifying marks and its claws might be tested for human blood or tissue to determine whether it was responsible for attacking Tim Scott on Sunday afternoon. Officials have said the attack was the first known black bear attack on a human in modern Kentucky history. Scott, 56, said he was hiking on Pinch-Em Tight Trail when the bear attacked him about 2:15 p.m. Sunday. Scott said he was standing on a ledge, his blue heeler dog with him on a retractable leash, when he realized there was something behind them. When he turned, he said, the black bear was standing on the trail. Scott took several pictures of the bear, which closed in on him. He tried to fight it off, but it was not deterred. Then, two couples who had been hiking showed up. Roberto Aspillaga said he watched Anthony Gobel swing a tree branch and yell at the bear. Aspillaga said he joined in and stopped the bear from dragging Scott further into the woods. Aspillaga said at one point Gobel struck the bear with his backpack. He said the bear did not seem full grown which is why he thinks the bear backed down. The four hikers helped Scott back to the trail head and Aspillaga said the bear followed them for about half a mile before trailing off. After Scott got to the trail head, he said, an ambulance arrived within five to eight minutes to take him to the hospital in Irvine. He was transferred to University of Kentucky Chandler Hospital and received about 50 to 60 stitches, mostly in his right leg. Scott said he was released after about eight hours in the emergency room. If officials capture the bear and confirm that it was Scott's attacker, it will be euthanized, Dobey said. Euthanizing animals is an emotional topic, he said, but human safety is always the first concern. Concern for safety is the main reason officials closed the park. Dobey said it's "extremely rare" for a black bear to attack a human, and in this case, the bear apparently attacked without provocation. Scott was not carrying any food. State and U.S. Forest Service officials patrolled all night Monday searching for the bear — and to make sure people stayed out of the gorge, Dobey said. Local police and sheriff's department officials are blocking entrances to the gorge. On Monday evening, a bear was seen twice a few miles from the attack site, but Dobey said it's not known whether that bear was the same one that attacked Scott. Many people are wondering whether they will have to put their weekend plans on hold. Cabin rental and private campground companies in the area spent the day fielding phone calls from would-be tourists who were fearful of running into a bear — or hoping to see a bear on their trip. Everyone was hoping that the gorge would be open by the weekend. Jim and Sue Shade, who own Red River Gorge Campground in Powell County, said they didn't expect the closing to affect their business much. They said they've never seen a bear on their property, but the U.S. Forest Service regularly patrols neighboring land. Peggy Corry, the area manager for Recreation Resource Management, a private company that contracts with the U.S. Forest Service to run Koomer Ridge Campground at the Red River Gorge, said the search for the bear will probably have some financial impact. "It's usually the very best week of the year for us," Corry said. "That park down there is full most every week. It does about $3,500 to $4,000 a week when it's full." Corry works at the Twin Knobs campground on Cave Run Lake near Morehead. She said her campground is nearly full with people who had to leave Koomer Ridge on Sunday and Monday. Kimberly Morgan, public affairs specialist for Daniel Boone National Forest, said she is hoping for a best-case scenario: that the bear will be caught before the holiday weekend. "We are not telling people to cancel their plans yet," she said. "The tourism issue is at the top of all discussions right now." Billy Barnett, who sells firewood outside his home on Nada Tunnel Road, said he thinks the bear in Sunday's attack might have been provoked. Barnett said he has lived near Red River Gorge for about 40 years and has seen seven or eight bears in that time, but he has never had contact with one. He said he leaves them alone. Barnett, who joked that he might start telling people that they can keep bears away by building "really big fires," said he wasn't worried about safety and was a little disappointed that the bear might have to be euthanized. "They were here first," he said. "People just have to learn to live with them." Barnett sold firewood to Walter and Wendy Webster from Grant County, who plan to spend a few days camping with their 5-year-old son, Brendan Kyle. The Websters, who arrived Tuesday, were disappointed by the closing and hoped the gorge would be open by the time they left. But they were going to spend three days at Indian Creek Campground. "My mom just said, 'Don't become bear bait,' " Wendy Webster said.